feel good time: i'd like to say it's the pink version of the great gatsby. i'd like to say it's the pink version of the great gatsby. 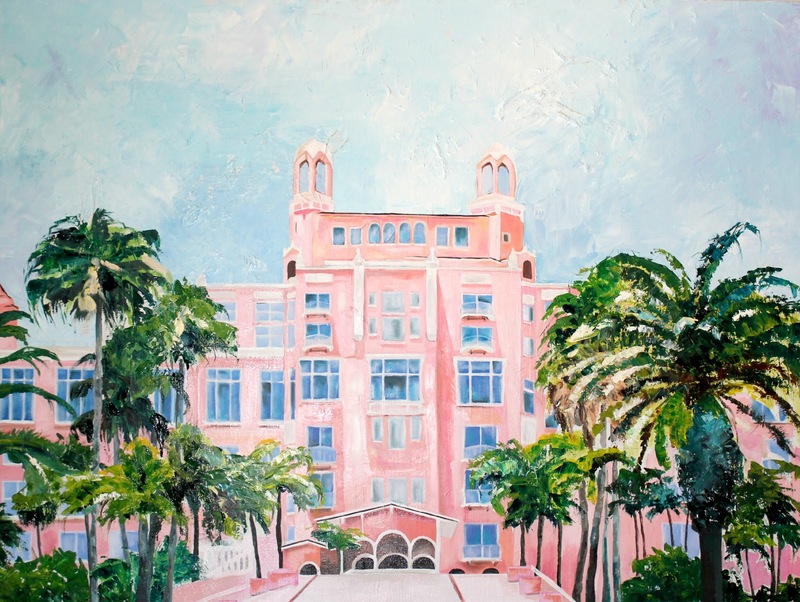 I introduce you to the pink version of the Great Gatsby, I give you, The Don Cesar Hotel in St. Petersburg, Florida! The first time I saw a photo of this beaut, I knew that I had to have a painting of it, and I knew the only way to have it, was to do it myself and the thought of that was quite a doozy. I knew it would be a challenged but I knew that if it was successful it would be a proud moment in my career. I've explored new techniques and have fallen in love with creating a base layer of texture with gesso and applying thick layers of oil with a palette knife. It's like icing a cake. I'm really happy that I pushed myself to do this and decided last minute I would paint this subject matter for my final. I cornered myself into having no choice but to finish and accomplish the challenge. I can confidently say, a lot of blood, sweat and tears went into this, and I also wanted to punch a hole with my fist through the canvas at one point. But I resisted, and now this painting has become one of my most personal prized possessions. It will definitely be a heirloom in the family. Does anyone know how to fire proof a painting? Your Don is stunning! Just beautiful! 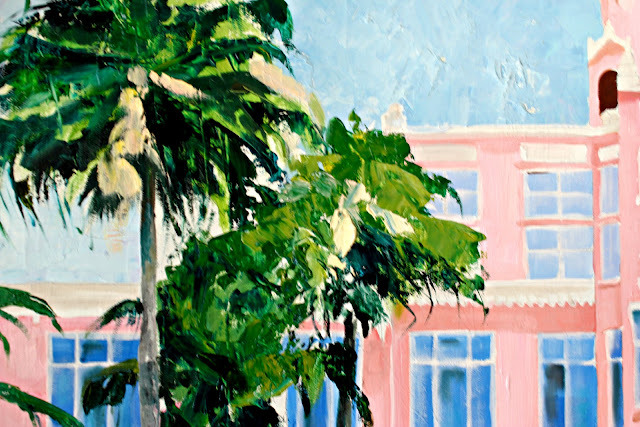 seriously... you should do a series of pink hotels. it would be a fun excuse to travel to places you might not initially think of going. this painting rocks.